Blue Bell Plus is the best center for digital hearing aid price-manaufacturer in Pune. In the center all assortment available with all brands with different sizes and styles. 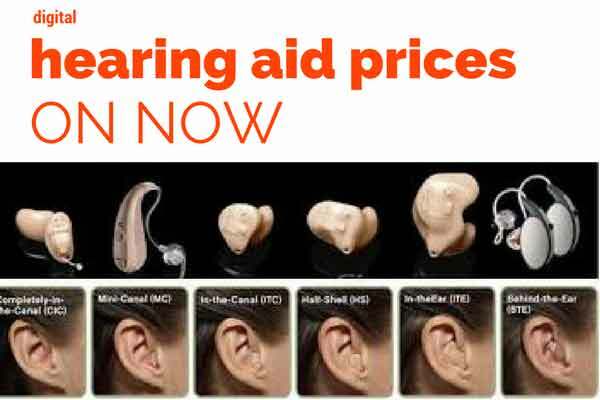 Always lowest price philosophy in digital hearing aid and right suggestion to patient for right selection of hearing aid as per budget and requirement. A digital hearing aid is compact sound amplifying device designed to help people who have hearing impairment. It has a microphone that picks up sounds and converts them into digital form, a microprocessor that amplifies and process a digital signal, a mini loudspeaker that delivers the sound directly into ear canal. It is the one of the smallest and most popular hearing aid. They are custom made to fit inside your ear canal mostly invisible to the outside environment people. The CIC hearing aid allows you to choose between automatic or push button setting which is programmed directly into the hearing aid.CIC hearing aid placement in the ear cuts down on background noise caused by the wind and other uncontrollable sounds. Invisible in canal hearing aid style fit inside the ear canal completely, ensuring only you know you are wearing them. The close placement to eardrum ensures immediate sound travel directly and less ambient noise in loud environments. A comfortable fit is achieved because the shell of the aid is customized to the individual ear canal after taking the mould. A deep placement in the ear canal to give a more natural experience of hearing and this type are most suitable for users up to middle age. In the canal hearing aid is smallest and customized hearing aid device. It is easily inserted and removes from the ear canal. It is a slightly larger device. Users can change volume and setting without the help of hearing professionals. In the Ear hearing aid is the largest custom made hearing aid as well as the easiest user-friendly to insert and operate. ITE hearing aid fits in the outer ear bowl and they are sometimes visible when standing face to face with someone. They can be used whose hearing loss mild to severe. The receiver in the canal has receiver known as a speaker which sends sound in the ear. It is comfortably and effectively designed for high-frequency hearing loss. This aid has two parts, the sound processor and receiver. The sound processor is fit a small unnoticeable case that sits behind the ear. A clear narrow tube follows the ear and leads to small ear bud that fixes directly into the ear canal. This aid most useful for high -frequency hearing loss. The behind the ear hearing aid can be benefits for people of all ages and high frequency hearing loss.BTE hearing aid are designed to give your ears incredible power. The plastic casing fits directly behind the top of ear. The custom ear mold shape matches your ear canal for best hearing clarity. It has wide variety of programming that can be changed according to the audiogram or hearing loss. Blue Bell Plus is best dealer of digital hearing aid price-manufacturer in Pune with best service. For senior citizen we arrange home visit free of cost.